BUCYRUS — Thanks to a matching grant from the Ohio Arts Council called Breaking Down Walls for a Creative Community, The Crawford County Board of Developmental Disabilities will welcome Susan Dlouhy and Patty Mitchell from the Creative Abundance Group for consulting and training. 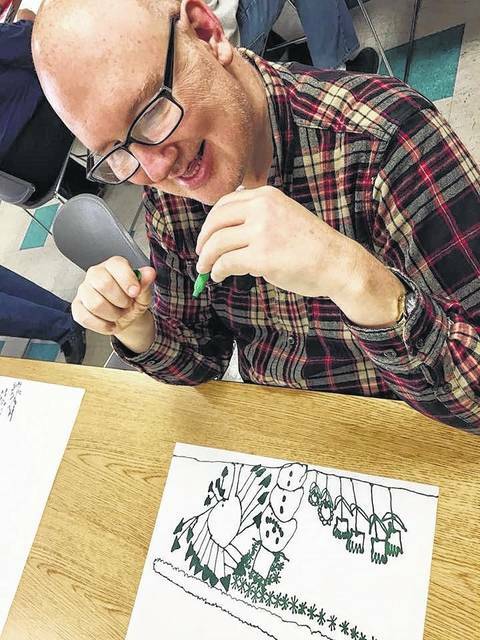 On Friday, March 17, from 1-3, there will be an open house to celebrate the creative talents of the people served by The Crawford County Board of Developmental Disabilities. Visit the brand new Making Space at the Crawford County Board of Developmental Disabilities, 1650 E Southern Ave, next to Trillium Event Center. Headed by Susan Dlouhy and Patty Mitchell, the mission of the Creative Abundance Group is to enhance the social, emotional and physical well-being of people with intellectual disabilities and other perceived differences. The Crawford County Board of Developmental Disabilities, located at 1650 E. Southern Ave. serves more than 350 children and adults at Fairway School, public schools, Waycraft Industries and other private providers.